Seed saving (also known as “brown-bagging”) is an amazing skill to learn. Not only do you save money and control the quality of your plants from year-to-year, it’s a very rewarding step towards self-sufficiency. Imagine this: No dashing to the store to discover all of the “good tomato seeds” have been sold out for the season; No wondering if a particular variety will grow well in your area. Do you grow garlic? You may already be practicing seed saving baby steps! When you grow your own garlic you select the best cloves for planting. You save them until the next planting season. The same general idea works for all open-pollinated non-hybrid plants. We have a new article called The Encyclopedia of Seed Saving that will talk you through the process of saving certain types of seeds. It is broken down into easy vegetable seeds, intermediate seed savers, and hard vegetable seeds, as well as herbs and flowers. Learning to save just one or two types of seeds each season is a great way to build skills without becoming overwhelmed. Rome wasn’t built in a day, and neither will your seed collection be. Flowers are a great way to start saving seeds. I use pantyhose on my sunflowers to keep the seeds from dropping and keep the birds from eating them. I saw this great trick for saving flowers that I might have to implement this year in my self-seeding annual beds. Get the details on this technique from Empress of Dirt. These are true “brown bag” seed savers. Wait until the flowers have begun to die back and clip the heads into a paper bag. Once the flower heads have dried, give the bag a shake and you will see the seeds separate from the dried plant matter. How long do seeds stay good for? Annual flower seeds generally stay good for one to three years, with perennials lasting for two to four years. Most vegetable and fruit seeds last two or three years, but proper conditions can extend that period. A good way to extend the life of your seeds is to store the packets in a mason jar with some rice sprinkled in the bottom. If you are unsure whether your seeds are viable or not, you can try this simple germination test. Sure, you can store your seeds in an envelope, a folded up piece of paper, or even in a pill bottle, but I like to have my own personal packets. 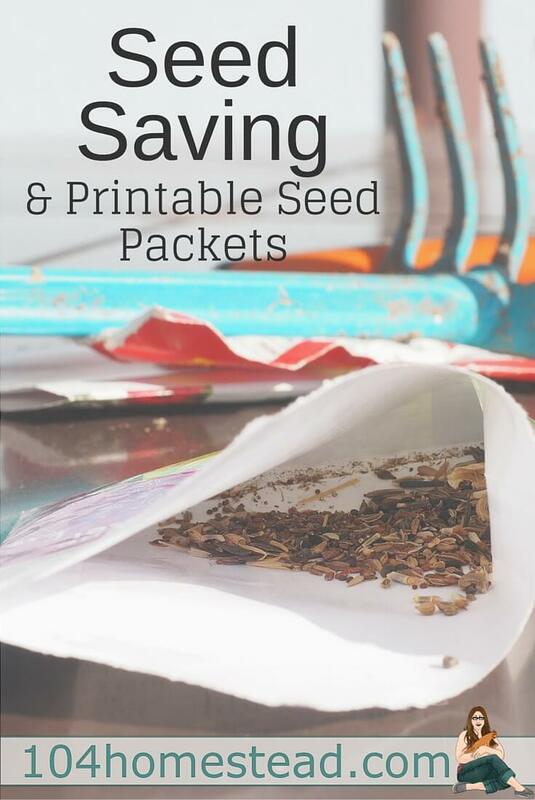 I use these packets not only to save seeds for personal use but also for sharing seeds with friends and family. 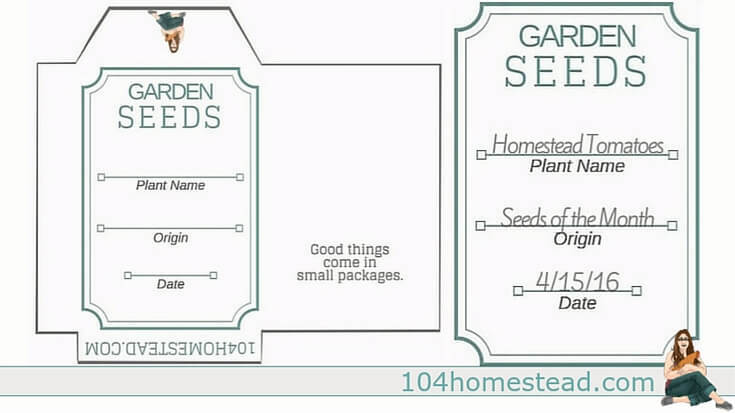 To print your seed packets, just click here. After printing, just cut along the outline, fold the edges, and glue or tape the edges in place to seal. The additional space on the back is good for writing special instructions such as soak seeds before planting or biennial plant. I love this seed packet! 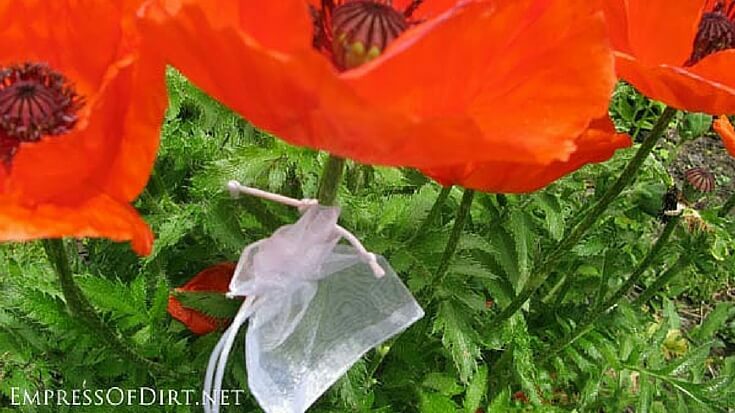 As you are no doubt aware, when you buy seeds, 9 times out of 10, the packet is NOT resealable! 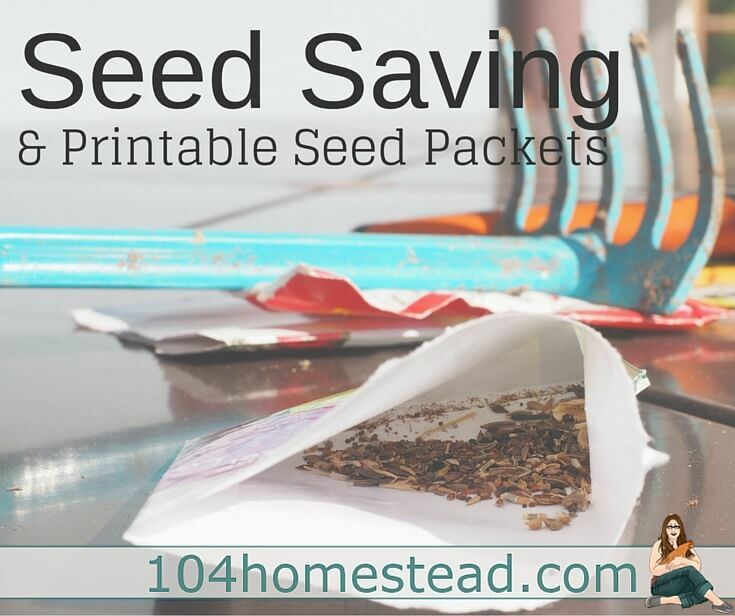 These printable packets allow me to save the seeds properly! Take corn, for instance, I plant the first lot of seeds, then two or three weeks later, I plant the second lot, and so on for about a month. The seed packets are useless once opened, so these printable packets give me a better chance to save the seeds for when I’m ready to plant!! Well Done!! Thank you so much!! 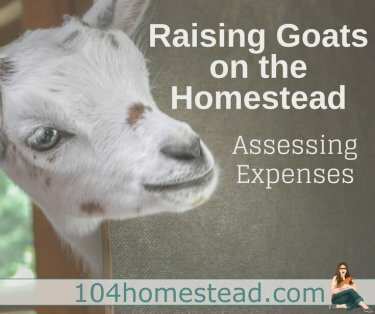 I learn something new every time I visit you blog! Love the printable seed packets. Thanks! I’m so glad you found this post helpful. Happy gardening!